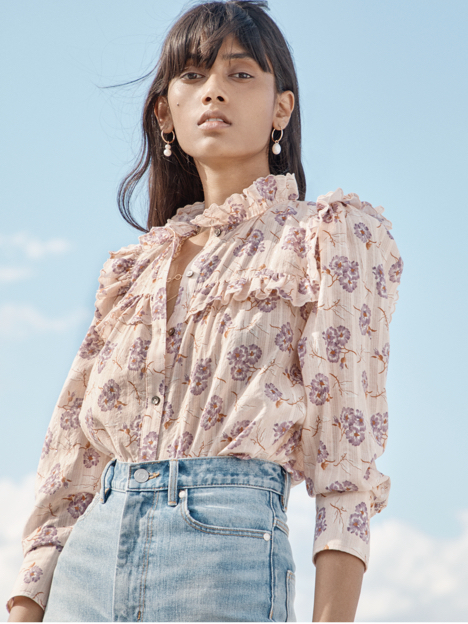 Intricate details elevate this Victorian-inspired cotton top. Intricate details elevate this Victorian-inspired cotton top. Delicate embroidery on the yoke is mirrored in the sleeves and neckline, which are finished with a delicate scalloped hem. Tuck it into jeans for a polished look from dawn til dusk.